While mindfulness isn’t the first association we make with high performance, entrepreneurship and innovation, you’d be surprised at how many successful leaders practice and prioritize it. Studies have found that mindfulness can help thicken grey matter in the brain and reduce cortisol levels, improving our ability to handle information. For anyone working hard and suffering from an intense daily routine, mindfulness is a great way to keep things together and prevent burnout, ensuring that you remain wired for success. Mindfulness is a positive mind-altering approach to life, which, in practice, helps to encourage insight, tranquility, and focus. It is the essential human ability to be aware of the present moment, of what we are doing, feeling, and thinking, without getting overwhelmed or disturbed by external influences. Those who meditate as part of their mindfulness practice tend to have greater control over stress and anxiety, while also improving their energy levels and mental clarity. The most common mindfulness practice is regular meditation. Meditation is a very personal matter, and the most important aspect of your practice is being consistent. For starters, meditate in the morning or evening. Then you can gradually move onto meditating before big meetings and challenging business decisions. 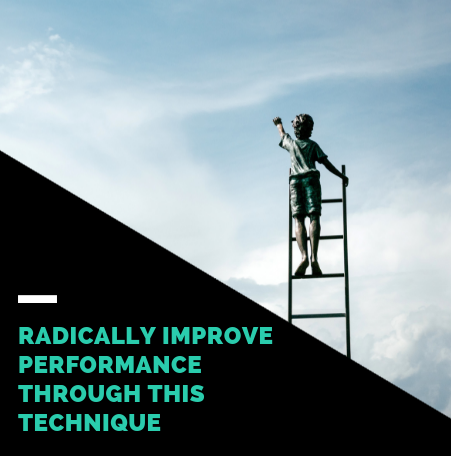 This will help centre you and allow you to perform at your best. The benefits of mindfulness are plentiful. In the context of entrepreneurship, some of the key benefits of this positive practice include the following. When you’ve got a lot of things on your plate and are unable to focus entirely, it is more difficult to wrangle your great ideas, and act on them. Mindfulness helps you gain a higher level of focus, and keep your thoughts more cohesive and sensible. By doing so, you can turn them into appropriate solutions. As you become more concerned with mindfulness, incoming emails, buzzes, vibrations, and other distractions will be less able to divert or jeopardize your trains of thought. Being a high-performing leader isn’t only about making smart decisions. It also involves understanding the creative process behind those decisions. When you unlock your creative potential and tap into your deeper creative self, you’ll experience a world filled with possibilities, solutions, and options you’d never considered. No one likes losing, especially if they're mentally prepared to succeed. However, failures happen, and they occur often. The difference between real winners and losers is that winners understand that failure is a part of the process to improvement. Successful people and entrepreneurs alike turn the fear of failure (and the unknown) into motivators. Failure doesn’t define them; it informs them. Mindfulness helps train your mind to manage your emotions more productively, finding the positivity in failure. Such a mindset enables you to gain confidence and exhibit your perseverance – two main traits of every successful business person. Effective communication is one of the crucial traits of successful entrepreneurship, especially in stressful situations. Most professional success and personal growth comes with improved communication skills, and mindfulness can play a big role in this. By maintaining a mindfulness practice, you’ll learn to communicate effectively and keep yourself shielded from those predatory, mental threats that are actively making you stressed and anxious. When you're in the middle of an investor meeting or client negotiation that isn't going your way, mindfulness will help you stay calm and focused on solution finding. Your emotions are bound to get the best of you...unless you are armed with tools to control them. Mindfulness is one of those 'in-the-moment' tools that is designed to help you calm down those nerves so you don't say something you later regret. Although mindfulness has become somewhat of a buzzword in the last few years, that doesn’t negate its benefits to virtually all aspects of our lives, from feelings of inner peace and satisfaction, to growing business relationships, and everything in between. I’ve been practicing meditation and other forms of mindfulness for the past four years and it’s been a game changer in my life, and my business. Give it a shot. You won’t regret it.